And, as not everybody has money just lying around, we’ll assume for the purpose of this article that we’re all starting on a shoestring. Now having little or no money to get your van business started doesn’t mean you’re at a real disadvantage either. All it means is that instead of a fancy website and paid advertising, you’ll have to opt for a free Facebook Page for Business, old fashioned leg work and direct customer contact in the beginning. Instead of customers finding you, you’ll have to find them initially, but the beauty of this well neglected technique is that your customers might not even know they’re your customers till the moment of contact. And in this digital age, not many people are opting for legwork so you’re already in a good position and this is your chance to monopolise locally. So, what business can you start with a van? 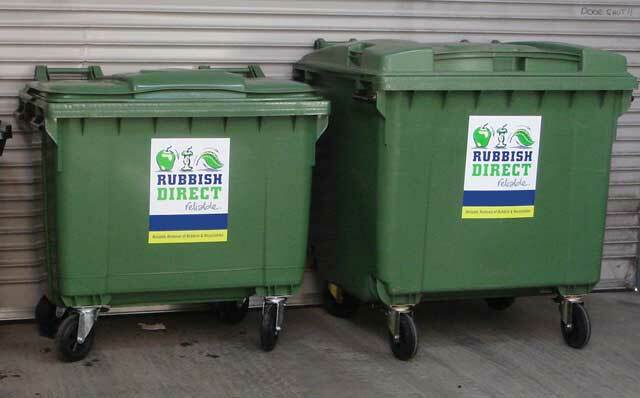 1) Starting A Rubbish Removal & Recycling Business! This is by far the easiest of them all so it get’s the top spot in our list of ways to start a business with a van. As long as you have a van of course, you need little to no money other than the cost of fuel. I’m sorry but there really isn’t any other way round this, but it’s not all bad. In this niche, door knocking is by far the best way to get the attention of a potential customer simply because you’re there, they’re there and if they do have something they want shifted to the local tip, there’s an 80% chance they’ll do a deal before having to lug it to the skip it themselves. If you sat outside you’re local recycling centre on a Saturday morning, you would see exactly how many people grudgingly take a few hours out of their weekend to visit the local tip. After a long working week, nobody want’s to be at the local dump on a Saturday or Sunday morning and is why it is just the money generator you should be considering when thinking about the type of business you too can start with a van. 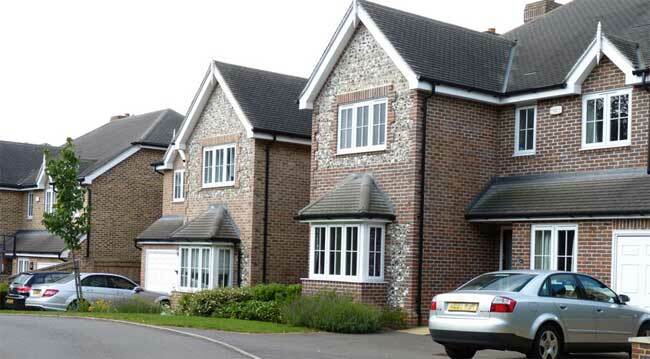 Private & New Build Estates. Private and new build estates have people buying, selling, moving in and moving out more often than any other type of tenant. Some people are down sizing and have more stuff than space, some are renovating or having new bathrooms or kitchens put in and want rid of the excess, replacing decking or some just want to make extra garage space. Whatever their requirements, private estates is where a lot of business is so, when when thinking how best to start a business with a van and little else, you should spend time and effort thinking about how to turn those ideas into paying work. 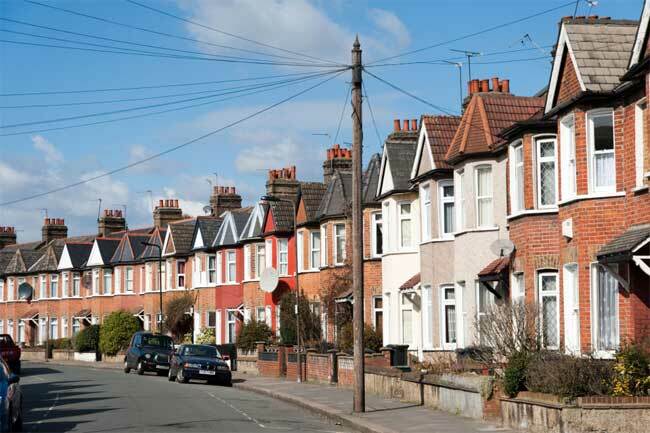 Funnily Enough, starting a small van based business if you live in or near a large council estate is as good a money in the bank and random door knocking works exceptionally well as in these types of areas. 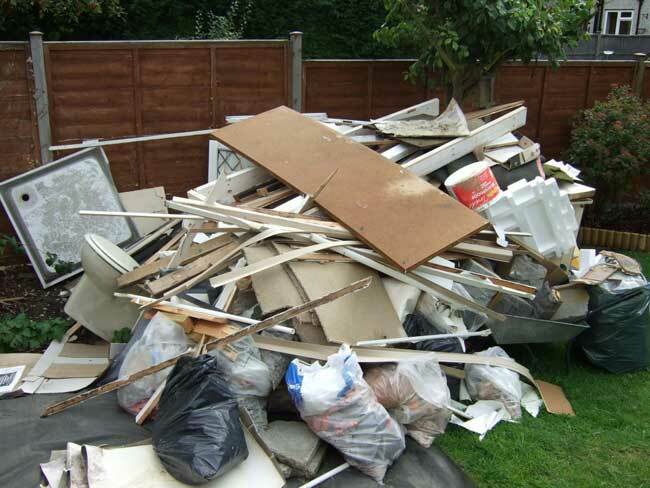 White goods, junk and other things that are better off at the tip tend to be left in the back garden and placed on a “list of things to get round to” by the tenant. If you knock the door and offer to uplift anything there and then, the chances are high that you’re talking to a paying customer. Even a short drive round the local streets you’ll probably spot things that should be uplifted. Don’t be shy, chap the door. Local business do not get free waste disposal – this is something they pay for as a business expense and this applies to them all – and so is another way to earn a substantial income. Call round local businesses to see how much they are paying and offer them a better quote for a regular service. Smaller businesses are more likely to take you up on the offer to keep their overheads down. You shouldn’t really waste your time with larger companies such as Burger King or Argos. A) Your van is probably not capable of lifting large industrial bins and B) You should be aware of your limits and conduct yourself appropriately. You don’t have to cold call local businesses in person, they actually prefer phone calls followed by a visit if they’re interested. Chapping someone’s door then just standing there with a blank stare will only frighten them so you’ll need something to say. Script a short sentence or two, practice it and before long, speaking to a potential customer at their front door will come natural and easy. “Hi, my name is <your name> from <your company> and we offer affordable recycling, junk removal and special uplift services. This is more than enough. It tells them who you are, what you do and get’s them to think what they want rid of. Always meet and greet with a smile. I strongly suggest you do spend a few quid on an ID badge with your name and company logo and a sign written t-shirt. These can be had on Ebay for about £15 and will instantly crank your trust factor up to 10. It will most likely be the difference between a warm welcome at the door and being suspected of a burglary waiting to happen. Things To Be Very Aware Of! Regardless of anything, you should NEVER handle or transport hazardous goods, chemicals or waste. If it doesn’t come out of a house or place of business, don’t touch it. Scottish Environmental Protection Agency is pretty much a comprehensive “how to” or even more so a “how to not” guide on this. As you’re a business, your local recycling centre will also charge you a fee to dispose of your van contents. 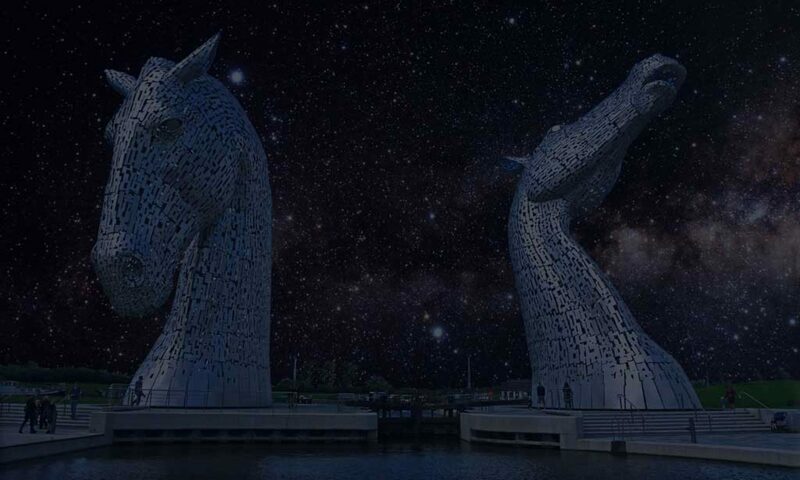 In Falkirk it’s £60 but you should check with your own local authority for their entry prices. You won’t have to pay this till you’re ready to dump your junk though so sometimes it’s just good practice just to carry the junk around with you till your van is full – that way you’ll only be paying for entry into the tip once. If the customer is willing to accompany you to the recycling centre with ID to confirm that he is a local resident, the junk belongs to him and your van is merely transporting it , then you’ll get in for free. You can quote less and the customer will save money. How Much To Charge Customers! The prices you charge your customers will reflect this cost of recycling so offer them a good deal but not so good that you’re not making a realistic profit. Getting into the recycling centre is by visit, not by volume so be aware of how much space you have available in your van, how much you’re charging to fill that space with items and how much it’ll cost you to dispose of it in the proper way. A couple of black bags? £5? Fridge Freezer? 25? 2) Starting A Man With A Van Business! You’re a man who has a van, somebody needs a van and an extra set of hands to help shift something heavy or bulky. Enter you. It’s easy to get started. All you need is a van and the sweat of your brow. From a customers perspective, it’s fast convenient and cheap. They get an extra set of hands to help them shift stuff and there’s no large van hire deposit to leave like a self drive hire van. There’s plenty of demand for this service. I guarantee you that there is always someone looking to get something shifted from somewhere. You choose what you charge. 10 small jobs per week can easily be £350 + after costs. Because the business model is so simple, competition is high. It’s hard work. This isn’t a job for the faint hearted or work shy. Shifting heavy items in and out of vans with a customer who rarely lifts anything heavier than a spoon can be frustrating and will take it’s toll on you physically. Plenty of rest time is required. If you suffer an injury or your vehicle breaks down, you’re immediately out of business. Personal injury insurance is a must and general mechanical competence is handy too. The cons of this type of work though are by far outweighed by the benefits so don’t be put off. It’s fun, different and the financial reward is better than most 8 till 6’s for less than half the hours. Making a success of it is down to commitment and building a local brand. 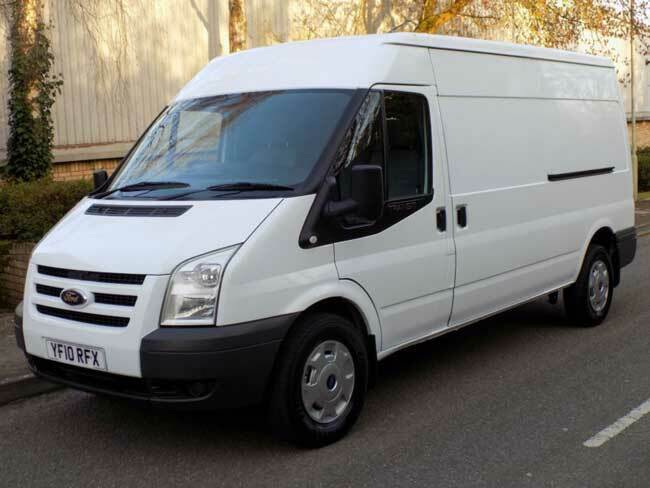 To help you, we’ve written an in-depth article on how to start a man and van business which will at least help you get off in the right direction. 3) Starting A Van & Driver Hire Business! This is much like starting a man and van type business but doesn’t require the brawn. A van & driver business is basically van & driver only. No heavy lifting, no fumbling with sofas, no wrestling American Fridge Freezers, just transporting goods from one place to another. This is a business you would normally start if you already know in your heart of hearts you’re not fit enough to lift and load. The service is aimed at people who already have plenty of hands on board, don’t have a driving licence, need a van but don’t have the money to leave a large security deposit or have already phoned around the local self drive hire companies but don’t have a van available. This happens, usually on a weekend. It’s easy work. You don’t need to be a body builder, all you do is the driving. You can’t charge as much as you would as a man and van and you’ll never see £250 + house removals quotes. Around £10-15 per hour is reasonable and cheaper than most man and van companies. Your customer base is smaller. People are more likely to book their job with someone who is willing to assist with the lifting. Be prepared to deal with students and young people. 4) Start a scrap metal collecting business! This is an awesome – on the side – opportunity. A Facebook page, Gumtree ad or simply taking a run through your local area yields results. People want rid of scrap metal from their gardens, sheds and business premises without having to take it to the local recycling centre themselves – and would be happy if you uplifted and removed it for free. Some metals are worth more than others, but your local scrap yard will be happy to take it off your hands for a reward. Scrap metal is a pain the neck and people will be glad to see the back of it so it is easy to acquire. There’s no costs involved in obtaining stock. Almost any metal you collect will be for free. Keeping an eye on metal prices is easy. You can hang on to your stock pile till prices you up for top dollar. You can’t just lift metal and disappear with it. That’s basically theft. Permission is required to uplift metal of any sort. Scrap metal isn’t as abundant as you would think. You’ll have do dig to find it. It isn’t worth as much as you would expect either unless you’re picking up copper, aluminium or lead so you would probably need a place to store it until you have enough to make it worthwhile taking it to a metal merchant. It really is a business that only supplements another income unless you’re willing to really work at it, develop contacts in the local area and establish yourself with local companies as a metal merchant. This isn’t for part timers. 5) Start a store to door delivery service! This is another simple yet popular way to make money with a van. People shop for large items and are usually stuck with a store delivery charge. You can do this is 2 ways. Spend a weekend phoning round all the large stores in your local area who sell large and bulky items and see if their normal delivery drivers are letting their store customers down, have went out of business or just been lifting too long and fancied a career change. The answer will usually be no, but keep trying. Eventually you’ll begin to pick up contracts here and there and the store delivery charge is what you’ll take home at the end of the day. Furniture stores, carpet stores and white goods stores should be first on your list of targets. There was a young lad in Edinburgh who got started by offering a commission to the store clerk for every delivery he made. The store clerk made the sale in store and got perked by the delivery driver too. This somehow seems questionable though and I’m not sure how or even if store policy would come into it but it was a method that worked for him. The other way gets results immediately but unfortunately isn’t free. Firstly, your van has to look relatively clean and new-ish as this will be your billboard so a builders van needn’t apply. Secondly, you’ll require sign writing which is where the initial cost comes in. If you have a sign written van and are planning on doing store to door deliveries, don’t be shy with where you park your vehicle. If your sign writing displays “STORE DELIVERIES” “SAME DAY SERVICE” and park it at the front door of Currys, the B&Q or Furniture Land, nobody will wait 6 days for store delivery when you’re there, you have a van and you’re ready to go. You don’t even have to beat the store delivery price, being available to deliver an item on the spot is enough to make your phone ring. Immediate income if you have a tidy, professionally sign written van. The financial reward is exceptional. It’s not easy getting off the ground if relying only on getting store contracts. Competition is fierce and most stores already have a preferred delivery company. You’ll need to offer a particularly exceptional service to convince them to make the change. You will usually need an extra man to help load and unload the van. Not all shoppers are willing to help lift the items they’ve just purchased. You will need a larger van if you have multiple deliveries. This usually only refers to store contracts though. Waiting outside a furniture or white goods store for customers to notice as they go in usually only means one delivery at a time. Thing’s You Need To Know! This can be done by registering at the Government Gateway. Then think about Public Liability insurance. It is a voluntary business insurance policy, but it’s cheap as chips and is well worth having – just incase. For a complete guide on how to start a business from scratch to profit, see our post on How To Start A Profitable Man With A Van Business where we go into the nitty gritty of everything from registering your new business to marketing it online. The article surrounds the man and van niche but the process is the exact same for anyone starting a new company. Open a free Twitter account, Facebook business account and a Google+ account then begin to register your new van business with all the important local business directories such as Yell, Yelp, Thomson Local, 118 Information, Scoot and Central Index. Most importantly, you’ll need a Google My Business account which is free and you’re automatically eligible when you open a Google+ account. Once you fill in your business details, you’ll find that this is the easiest way onto Google Maps too. It’s true what they say, one account, all of Google. If you don’t have a website, focus on your social media pages and use them as you would a normal website. The only drawback with social media pages is that you can’t optimise them for Google the way you can an actual domain name, but it’s not uncommon for Facebook pages with lot’s of likes and followers to outrank dedicated websites. For a complete in-depth guide on how to do this correctly too, see our “how to start a man with a van business”. The link to that article is above. The handiest things in the world. Vista Print used to do free cards but as far as I can tell they don’t anymore 🙁 If you have £20 to spend though, you can get 500 professional cards delivered to your door. If you don’t have £20 to spend, wait till you get a few paying jobs in but getting business cards at some point WILL give you trust points when speaking to a potential customer. As mentioned previously, not every door you chap will be a paying customer. In fact, most won’t so for those who aren’t, leave with a courteous smile, a thank you and leave a card with them. You’ll already have planted the seed and over the next few days you might get a phone call to go collect something once they remember about the old bikes in the shed or the broken dishwasher at the back of the garage. 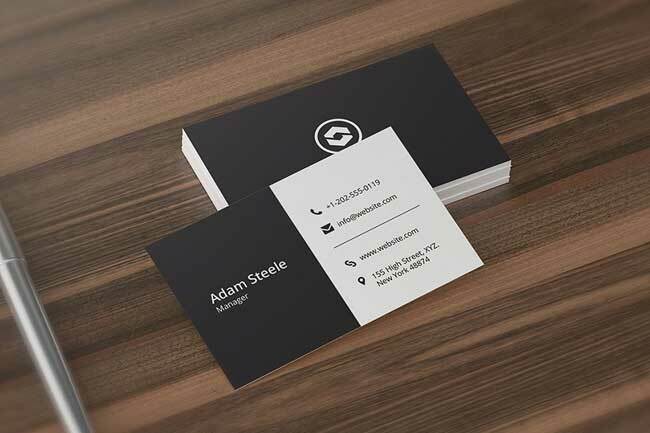 Your business card should display your business name, address, phone number, email address, website if you have one or Facebook page if you don’t and your hours of operation. So, when starting a new business with a van! We definitely recommend thinking about offering junk to dump and recycling services in your local area if you really are on a shoestring. Assuming you already have a van, it takes little or no money to get started and you get to build a local brand as more and more people use and recommend your services. Remember, not every door you knock will require your services but always offer them a business card and leave with a smile. Draw yourself a regular route and repeat it every couple of months. People will eventually get to know, trust and use you. We want these articles to actually help others get started which is why we try to be as comprehensive as possible. And also, we’ve had to break them up into bite sized chunks because they are quite lengthy. Just remember, marketing yourself online and getting customers from Google to connect with your business with no money, capital or website is almost an art form but get’s easier with practice. Also, be sure to read our other post which goes into details on the do’s and definitely do not’s of Google Rankings, what directories you should get listed in and how not to get kicked out of the Google search results for something silly. The articles covers how to start a van based business but as said previously, the process is the exact same for any start up business. If you have any questions, feel free to leave them in the comments section.